In infoComm 2012 booth C7549, you can find the Spectrum Team working hard to answer your questions about the newly unveiled products for the Summer of 2012! 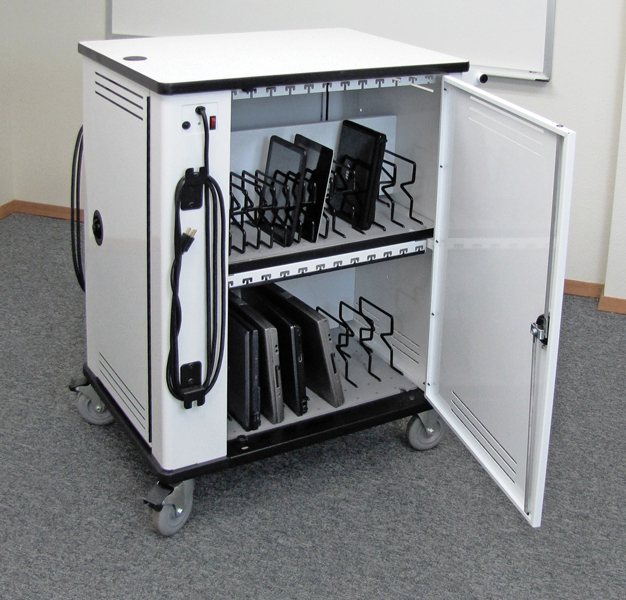 The new products are for collaboration; storage and charging of laptops, iPad and tablets, smart phones and clickers; and the first half rack lectern on the market! 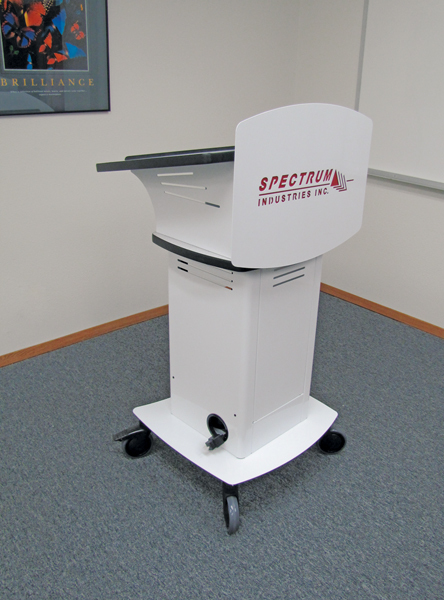 These products will be ready for the summer and will move fast, so don't wait - contact Spectrum now! 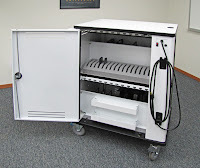 The Bantam Half Rack Cart is a true audiovisual innovation – you have never seen a lectern like this before! 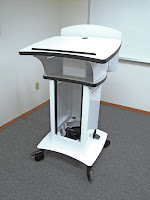 The Bantam isn’t just a sleekly designed smart lectern. As the industry’s first lectern designed for half rack technology, it has awesome potential for AV technology inside a very small and mobile footprint. Mobile Device Storage Has Evolved! 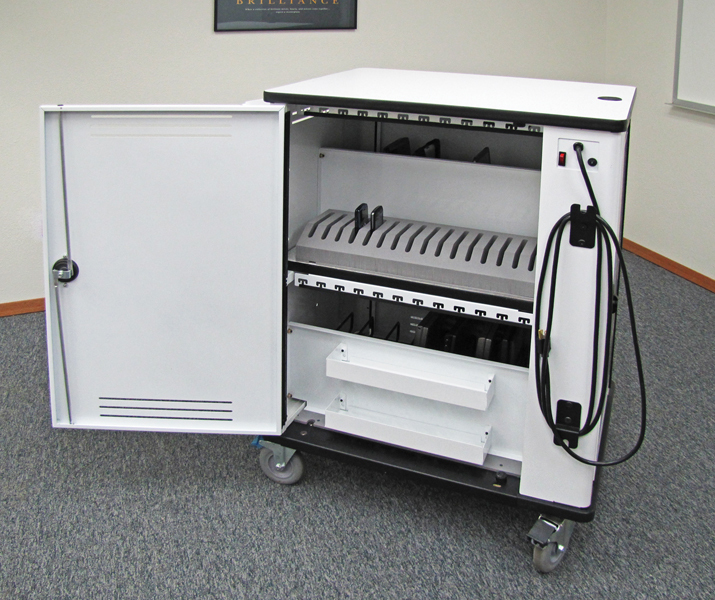 With the Evolve Multi-Tech Cart, you can neatly organize different technologies in one cart, and ensure each device is charged and ready for when your students need to use them. 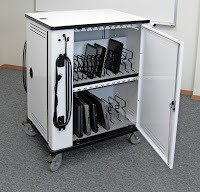 There is no need to have several different carts and no need to worry about how to organize future technologies when the inevitable change occurs. 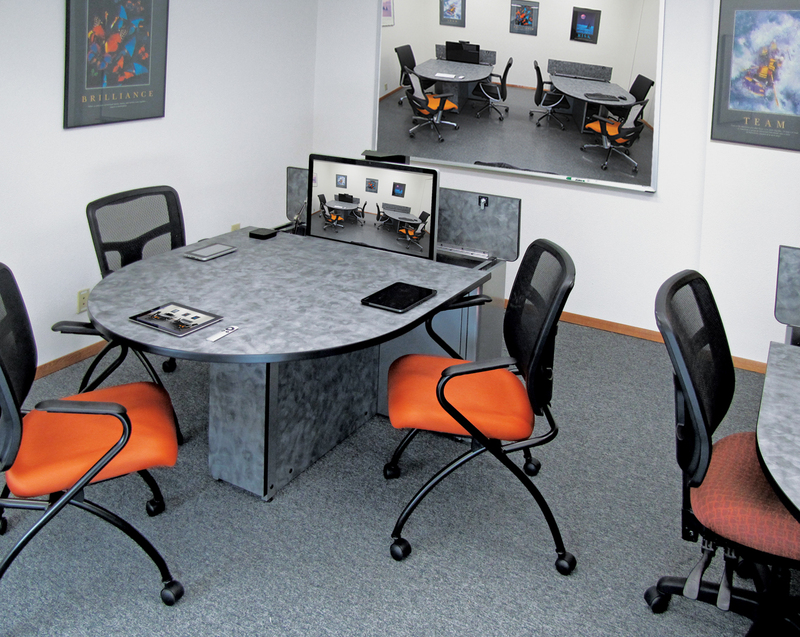 The Evolve can handle a variety of laptops, netbooks, tablet devices, smart phones and clickers. 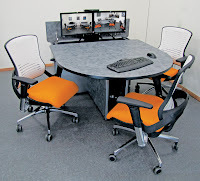 The Invision Media Collaboration System was unveiled this week at UBTech and infoComm bringing an affordable and unique approach to collaboration furniture. 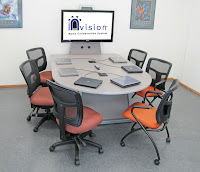 The Invision Collaboration Table with Monitor Stand comes in a variety of sizes and options including easy sharing of mobile devices on the large screen. Invision and InSight come together! monitors when you don't need them! 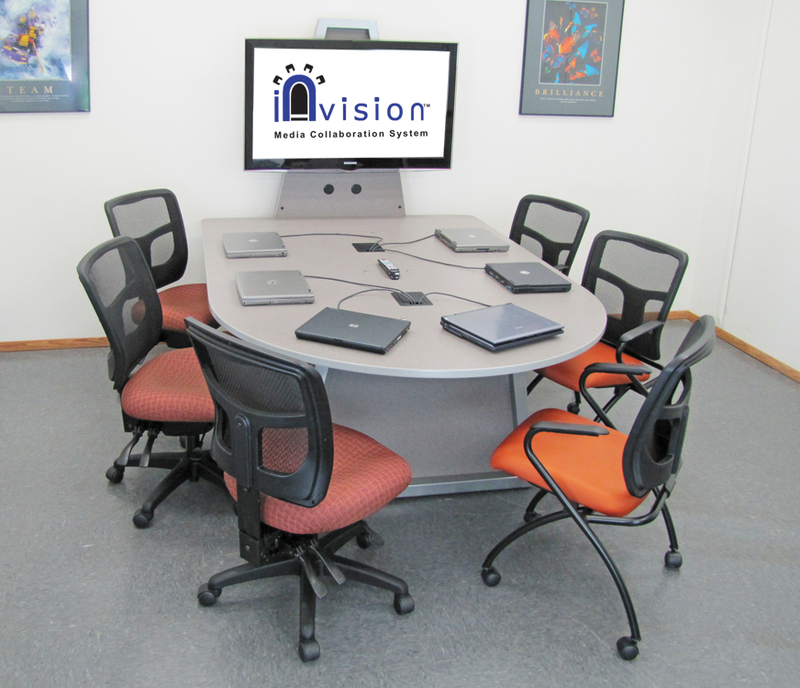 The best of both worlds come together for the Invision Media Collaboration Table with Insight Lifts! 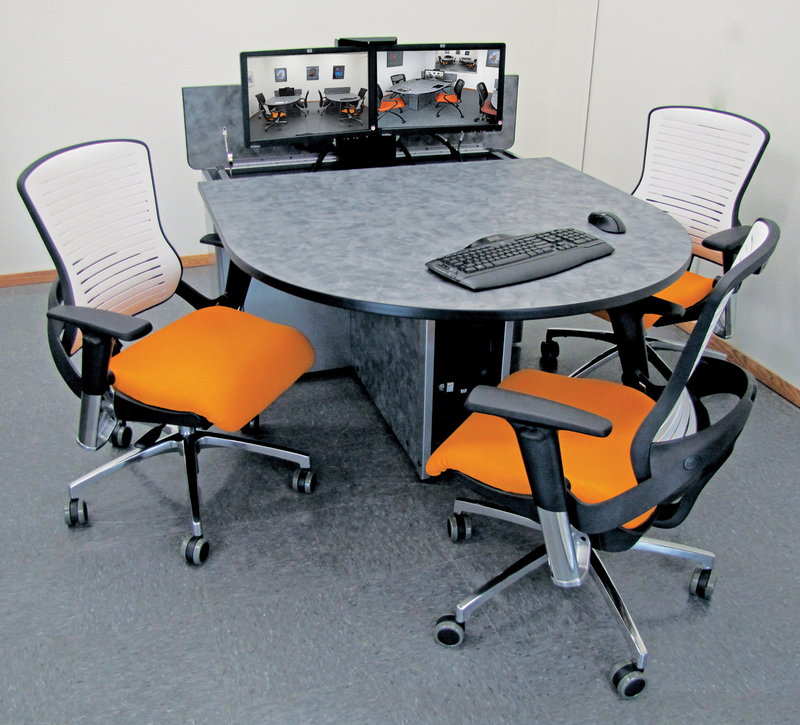 Now the collaboration table comes together with self-storing monitors when focus should be on the instructor! 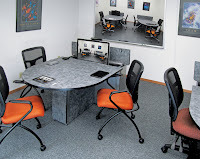 Models include the InSight Lift for Dual Monitors and the InSight Lift for Large Format Monitors and All-In-One computers (32lb and 27-inches).